Extra! Extra! Read all about it! 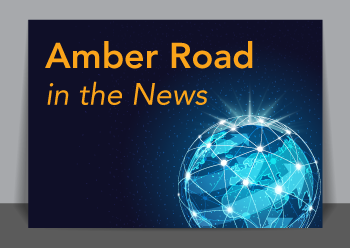 Amber Road talks about managing supply chain costs, shipping perishable goods, global trade rules and regulatory compliance solutions, and moving the workload to the vendor-level in this month’s press coverage. Amber Road's industry leaders have a lot to say, and this month features pieces written by Gary Barraco (Director, Global Product Marketing) and Andrew Cheung (Vice President of Implementation). This issue also features an exciting press release for Amber Road's export compliance solution targeted at universities & research institutions. Check it out! With the broadest GTM solution footprint in the market, Amber Road is continuously expanding its global reach. Today the organization announced its expanded support for the new import filing requirements under the U.S. Automated Commercial Environment (ACE) Single Window for Partner Government Agencies (PGAs). Amber Road offers the broadest GTM solution footprint on the market, a breadth that has now grown by 89 trade agreements. Amber Road’s Free Trade Agreement (FTA) Management solution automates the supplier solicitation, qualification and certificate management processes for importers and exporters. These duty saving and efficiency boosting capabilities now cover over 120 FTAs across the globe. Throughout its 18 years of partnership, the Renault-Nissan Alliance has harnessed its unique business model to increase the value of both companies. 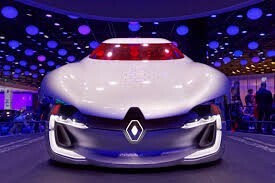 Together, Renault-Nissan’s value has expanded on a global level—collectively operating in 122 manufacturing plants around the world with Renault headquartered in Paris, France and Nissan in Yokohama, Japan. 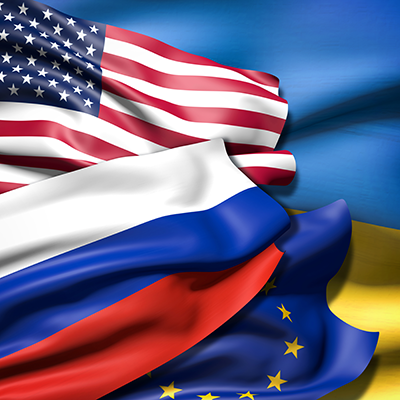 As one of the largest global automakers, the Alliance began to recognize missed opportunities with preferential duties and struggled to ensure free trade agreement compliance. The Renault-Nissan Alliance turned to Amber Road to help optimize its European preferential trade processes. The Alliance will use Amber Road’s Trade Automation solution to ensure compliance with free trade agreements and maximize its utilization of preferential duties. The solution will support import/export processes from European, Turkish and Moroccan sites, taking into account over 40 Free Trade Agreements. Amber Road Launches Brand New Website! We are thrilled to announce the launch of Amber Road’s brand new website! Our clean, interactive design makes it even easier to find the detailed, informative content that you expect from Amber Road. And, our new web platform makes it easy to view web pages from any mobile device. We are very excited to announce that CEO Jim Preuninger is a finalist for the EY Entrepreneur Of The Year 2014 Award for the New Jersey region! The awards program recognizes entrepreneurs who demonstrate excellence and extraordinary success in such areas as innovation, financial performance and personal commitment to their businesses and communities. Jim Preuninger was selected as a finalist by a panel of independent judges. Award winners will be announced at a special gala event on Thursday, June 26th at the Hyatt Regency New Brunswick. Amber Road, Inc. announced the pricing of its initial public offering of 7,391,565 shares of its common stock at a price to the public of $13.00 per share. Of the shares in the offering, 4,782,870 shares are being offered by the Company and 2,608,695 shares are being offered by selling stockholders. In addition, certain of the selling stockholders have granted the underwriters a 30-day option to purchase up to 1,108,734 additional shares at the same price to cover over-allotments, if any. Amber Road will not receive any proceeds from the sale of shares by the selling stockholders. The shares are expected to begin trading on The New York Stock Exchange on March 21, 2014 under the ticker symbol "AMBR." Closing of the offering is expected to occur on March 26, 2014, subject to customary closing conditions. For more information, click here to read the press release. Arcadia Group Ltd, the largest privately owned fashion retailer in the United Kingdom, has signed a worldwide contract with Amber Road for an integrated Global Trade Management (GTM) suite. With the Amber Road GTM suite, Arcadia plans to automate the company's key import, export, supply chain visibility, and trade planning activities. Learn more about how Arcadia plans to use the Amber Road GTM suite here. We are excited to announce that three of our executives received Supply & Demand Chain Executive's "Pros to Know" Award for 2014! This is the eleventh year in a row an Amber Road visionary has been recognized by the publication for his or her commitment to helping customers transform their global supply chain.